Join local jazz icons, Christian Howes and Bobby Floyd this Sunday, January 6th as City Music Columbus hosts a Jazz Brunch at Via Vecchia Winery in the Brewery District. 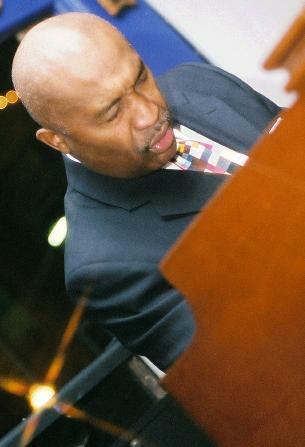 Longtime collaborators, Bobby Floyd’s unique and inspirational keyboard, piano, and organ complement Howes’ jazz violin perfectly. Their unique take on traditional gospel music draws in audiences of all ages and backgrounds. The $10 Brunch menu includes: Vegetable Strada, Ham and Cheese Strada, Bacon and Sausage, Home Fries, Breakfast Pastries, and Fresh Fruit Salad. Food available for purchase at the door as well as pre-concert online. Christian Howes grew up in Columbus, Ohio and received a degree in Philosophy from the Ohio State University. Following 10 years in New York City making a name on the international jazz scene, he has recently returned to raise a family while anchoring his touring and educational activities from his hometown of Columbus. Christian was awarded the #1 spot in Downbeat magazine’s Critics Poll (Rising Star Violin) in 2011. 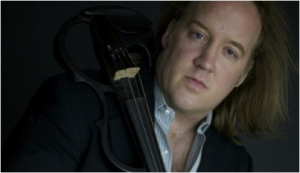 He was also nominated for “Violinist of the Year” by the Jazz Journalists Association in 2011. Read more about Christian. Previous post: CJO Pays Tribute to Rosa Parks in "Suite Rosa"